Laos, officially the Lao People's Democratic Republic, is the only landlocked country in Southeast Asia, bordered by Burma and People's Republic of China to the northwest, Vietnam to the east, Cambodia to the south and Thailand to the west. Laos traces its history to the Kingdom of Lan Xang or Land of a Million Elephants, which existed from the 13th to the 18th century. After a period as a French protectorate, it gained independence in 1949. A long civil war ended officially when the Communist Pathet Lao movement came to power in 1975, but the protesting between factions continued for several years. 44% of the population live below the international poverty line of the equivalent of US$1.25 a day. 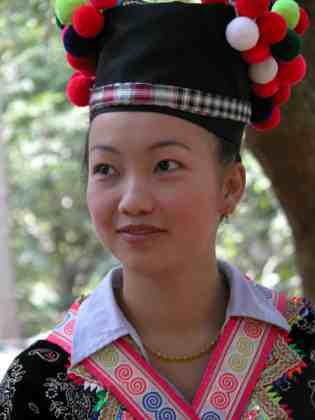 In the Lao language, the country's name is "Meuang Lao." The French, who made the country part of French Indochina in 1893, spelled it with a final silent "s," i.e., "Laos" (the Lao language itself has no final "s" sound, so Lao people pronounce it as in their native tongue though some, especially those living abroad, use the pronunciation ending in "s"). 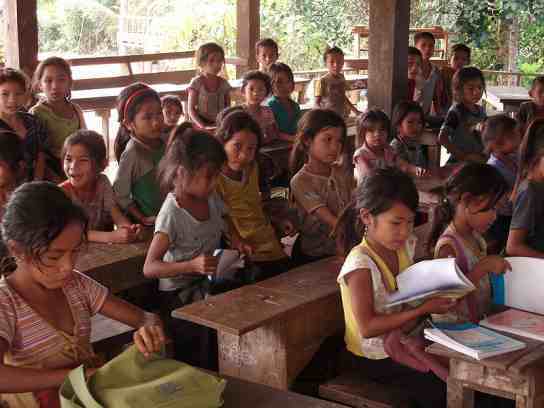 The usual adjectival form is "Lao," e.g., "the Lao economy," not the "Laotian" economy—although "Laotian" is used to describe the people of Laos to avoid confusion with the Lao ethnic group. 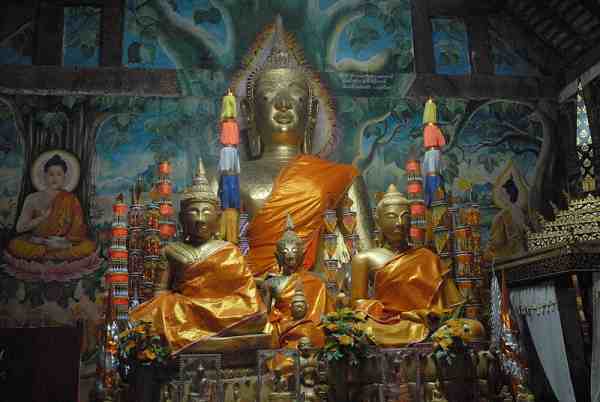 Laos traces its history to the kingdom of Lan Xang, founded in the 14th century (1353) by Fa Ngum, himself descended from a long line of Lao kings, tracking back to Khoun Boulom. Lan-Xang prospered until the 18th century, when the kingdom was divided into three principalities, which eventually came under Siamese suzerainty. In the 19th century, Luang Prabang was incorporated into the 'Protectorate' of French Indochina, and shortly thereafter, the Kingdom of Champasak and the territory of Vientiane were also added to the protectorate. 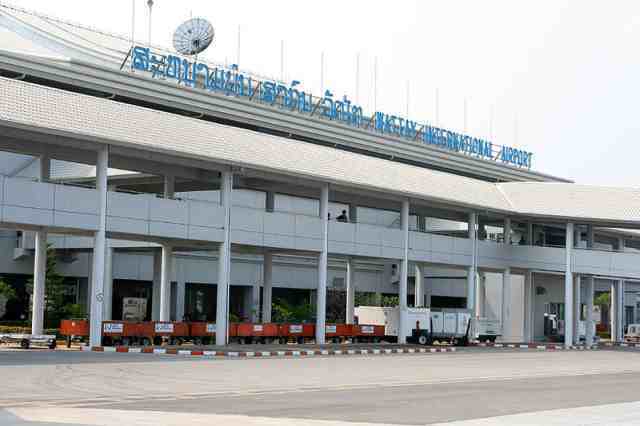 Under the French, Vientiane once again became the capital of a unified Lao state. Following a brief Japanese occupation during World War II, the country declared its independence in 1945, but the French under Charles de Gaulle re-asserted their control and only in 1950 was Laos granted semi-autonomy as an "associated state" within the French Union. Moreover, the French remained in de facto control until 1954, when Laos gained full independence as a constitutional monarchy. 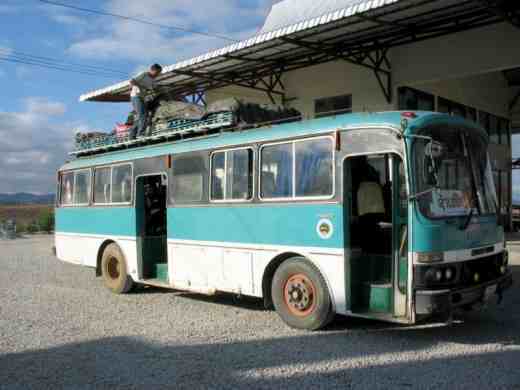 Under a special exemption to the Geneva Convention, a French military training mission continued to support the Royal Laos Army. In 1955, the U.S. Department of Defense created a special Programs Evaluation Office to replace French support of the Royal Lao Army against the communist Pathet Lao as part of the U.S. containment policy. 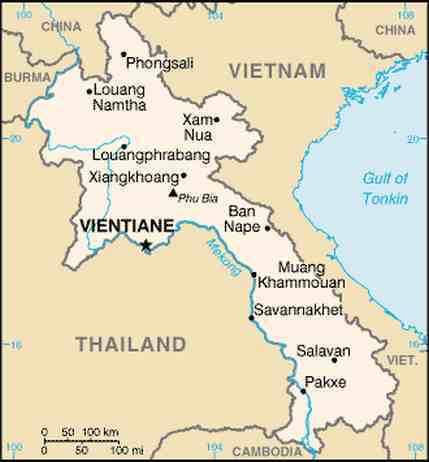 Laos was dragged into the Vietnam War and the eastern parts of the country were invaded and occupied by the North Vietnamese Army (NVA), which used Laotian territory as a staging ground and supply route for its war against the South. In response, the United States initiated a bombing campaign against the North Vietnamese, supported regular and irregular anticommunist forces in Laos and supported a South Vietnamese invasion of Laos. The result of these actions were a series of coups d'état and, ultimately, the Laotian Civil War between the Royal Laotian government and the communist Pathet Lao. In the Civil War the NVA, with its heavy artillery and tanks, was the real power behind the Pathet Lao insurgency. In 1968, the North Vietnamese Army launched a multi-division attack against the Royal Lao Army. The attack resulted in the army largely demobilising and leaving the conflict to irregular forces raised by the United States and Thailand. The attack resulted in many lost lives. Massive aerial bombardment was carried out by the United States. The Guardian reported that Laos was hit by an average of one B-52 bombload every eight minutes, 24 hours a day, between 1964 and 1973. US bombers dropped more ordnance on Laos in this period than was dropped during the whole of the Second World War. Of the 260 million bombs that rained down, particularly on Xieng Khouang province, 80 million failed to explode, leaving a deadly legacy. It holds the dubious distinction of being the most bombed country in the world. In 1975, the communist Pathet Lao, along with Vietnam People's Army and backed by the Soviet Union, overthrew the royalist Lao government, forcing King Savang Vatthana to abdicate on 2 December 1975. He later died in captivity. After taking control of the country, Pathet Lao's government renamed the country as the "Lao People's Democratic Republic" and signed agreements giving Vietnam the right to station armed forces and to appoint advisers to assist in overseeing the country. 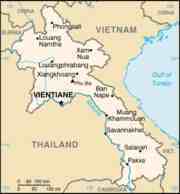 Laos was ordered in the late 1970s by Vietnam to end relations with the People's Republic of China which cut the country off from trade with any country but Vietnam. Control by Vietnam and socialisation were slowly replaced by a relaxation of economic restrictions in the 1980s and admission into ASEAN in 1997. In 2005, the United States established Normal Trade Relations with Laos, ending a protracted period of punitive import taxes. Laos is a landlocked country in Southeast Asia and the thickly forested landscape consists mostly of rugged mountains, the highest of which is Phou Bia at 9,242 feet (2,817 m), with some plains and plateaus. The Mekong River forms a large part of the western boundary with Thailand, whereas the mountains of the Annamite Chain form most of the eastern border with Vietnam. The climate is tropical and monsoon. There is a distinct rainy season from May to November, followed by a dry season from December to April. Local tradition holds that there are three seasons (rainy, cold and hot) as the latter two months of the climatologically defined dry season are noticeably hotter than the earlier four months. 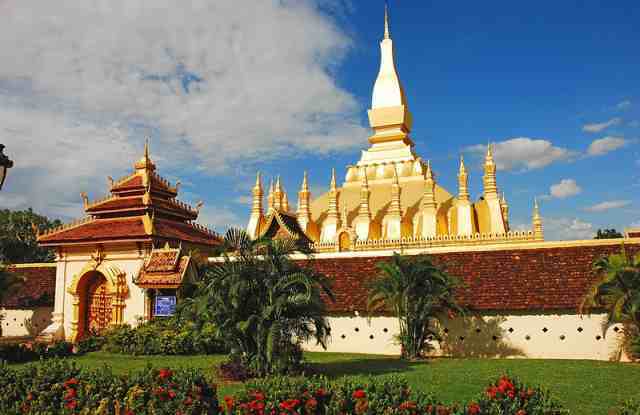 The capital and largest city of Laos is Vientiane and other major cities include Luang Prabang, Savannakhet and Pakxe. 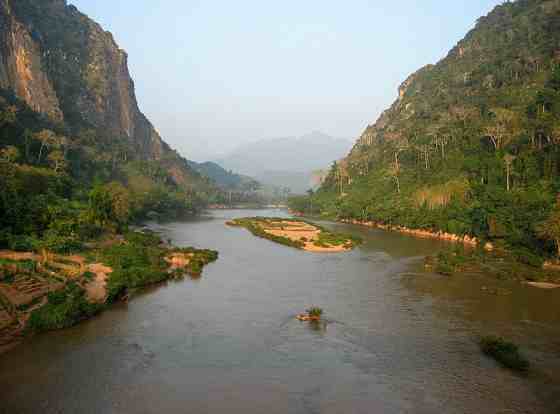 In 1993, the Laos government set aside 21% of the nation's land area for Habitat conservation preservation. 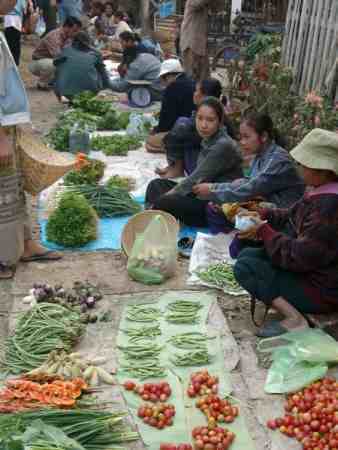 The country is one of four in the opium poppy growing region known as the "Golden Triangle." According to the October 2007 UNODC fact book "Opium Poppy Cultivation in South East Asia," the poppy cultivation area was 15 square kilometres (3,700 acres), down from 18 square kilometres (4,400 acres) in 2008. Photos courtesy: Wikipedia, the free encyclopedia - Many thanks - Editor - Click for an enlargement. This page was retrieved and condensed from (http://en.wikipedia.org/wiki/Laos) see Wikipedia, the free encyclopedia, November 2008. This information was correct in November 2008. E. & O.E.